Exactly 20 days to Christmas. 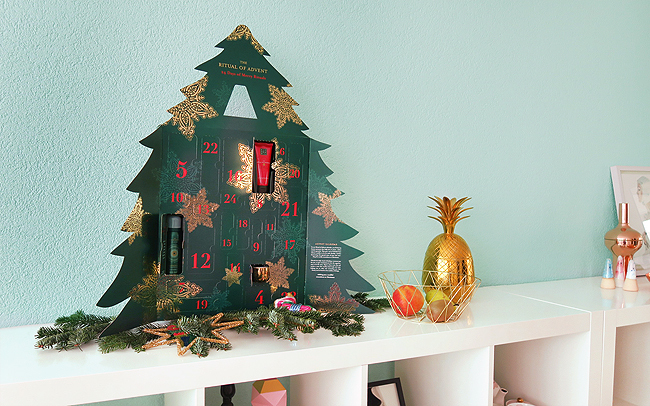 The Advent Calendar is kind of a countdown to the big festive event: The more doors are open, the sooner it's here. And of course, there is no Christmas without a calendar! 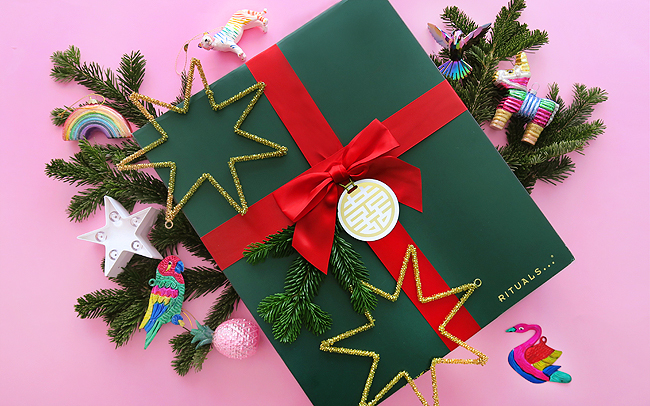 Since I gave up on most sweets because of my vegan diet, I am thrilled I received this cool tree-shaped beauty calendar by Rituals Cosmetics. It is quite an eyecatcher and filled with the delicious Rituals products. It's so easy to get stressed before Christmas because besides a lot of work there are gifts to be bought, cookies to be baked, lights to be hanged, and it seems like 1000 other tasks that can't wait. This calendar helps me not to forget to relax because the beauty treats remind me to take some time for myself. It's ok not to bake 20 sorts of cookies; I'll take a bath instead! Christmas is not a marathon but should be a magical and calm time, let's not forget that. Therefore I wish you a relaxing time, just try to take it easy, breath and enjoy. I'll post every day in my instastories what I find on my calendar so you can see my treats.